Lovely accommodation. Really close to Silver Sands Beach. Upgraded to sea view. Breakfast was delicious and the staff very friendly. Exactly what we were looking for. If a sub-zero score exiets I would gives Hotel Morar a -2!!! This was the worst, most dirty, downtrodden hotel I've ever been in!!! Run!! Run!!! Run!!! And never look back except in sheer horror!! Noisy, tiny, dirty, barren and dirty, dirty rooms and bathroom and filthy shower!!! The dining/ breakfast room is similar to a post War barack -deserted, depleted and dirty. Never return!! The staff told me they will refurbish it in January: nothing will do except demolition. We had had a splendid Christmas Eve. The menu was delicious and not expensive at all. The atmosphere was wonderful. I recommend it. The location is very beautiful and special. The staff went out of their way to help with the couple little things that needed attention. The full cooked Scottish breakfast that came with booking was just superb, and the service in the morning was extra nice. There cannot be a Hotel with a better view across to the small isles! Great location! 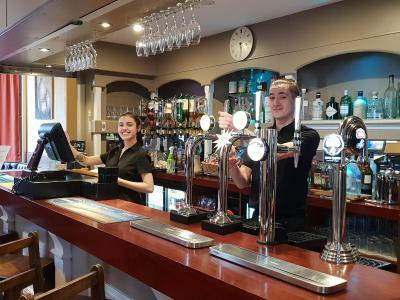 Established in 1902 The Morar Hotel is a family run hotel in the highlands in North West Scotland, 3 miles from Mallaig, the Southern gateway to the Isle of Skye. 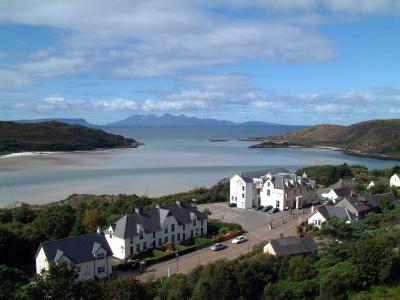 The hotel also boasts scenic views of the Silver Sands of Morar and the Inner Hebridean islands of Rum & Eigg. Rooms at the Morar all feature an en suite bathroom with a bath and a hairdyer, as well as a TV and tea and coffee making facilities. It is only three miles from Mallaig, which offers ferries to the Isle of Skye. The western edge of Loch Morar is less than a mile away and Morar Rail Station is less than a 5-minute walk from the hotel. The Morar Hotel has been welcoming Booking.com guests since 19 Sept 2007. 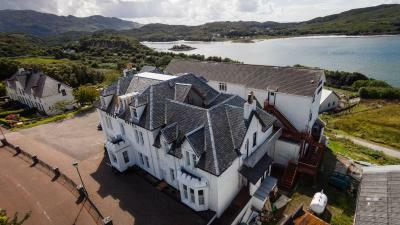 When would you like to stay at The Morar Hotel? An en suite bathroom, TV and tea/coffee making facilities are featured in this room. This room is equipped with an en suite bathroom, a TV and tea/coffee making facilities. House rules The Morar Hotel takes special requests - add in the next step! The Morar Hotel accepts these cards and reserves the right to temporarily hold an amount prior to arrival. The staff is very friendly and helpful. The hotel location is amazing. Loved the breakfast spread. The phone reception isn’t great and WiFi doesn’t always work but that’s to be expected in such a remote place. There was no welcome letter or information upon entering the room. No menu what would be served in the restaurant. The WiFi didn’t work, the tv was small and really old. There was cobwebs on our ceiling and the decor really needs updating. I checked in after a 6hr drive at 10pm and I walked into my room and it hadn’t been made from the last person who stayed there. There was nothing offered as a compliment. We were there the week before Christmas and so the dining room only served a small, set 'holiday' menu that did not include what we we hoping to eat, but we just went elsewhere for dinner. The hotel is older and under new ownership with a major refurb scheduled over the winter and it could use some attention. Hopefully that will freshen it up.